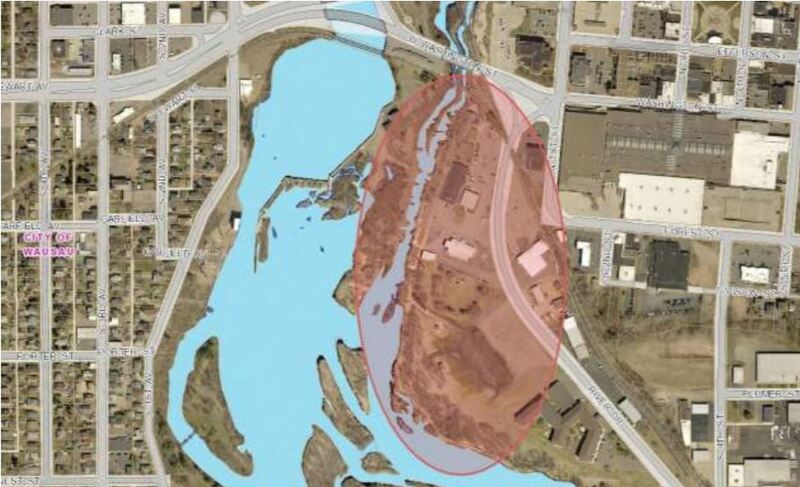 On January 19, 2019, the City of Wausau, Wisconsin issued a request for proposals (RFP) for a redevelopment plan and market study in area along the Wisconsin River and River Drive south of Washington Street. This general area plan and market study should examine the potential redevelopment of a variety of brownfield parcels which could see a higher and better use. The area includes the City’s popular Whitewater Park, successful Farmer’s Market, existing County owned buildings and public utility owned parcels. The plan recommendations should consider the highest and best use opportunities for the parcels along with improvements and opportunities for important community features like the market and kayak course. The goal of this plan is to set a foundation for future redevelopment activities and expectations in the general area and ways to maximized connectivity and continued success of the natural river amenities along with the Farmer’s Market and Whitewater Park. The plan deliverable should include a real estate market analysis of the potential sites and area, review of the known environmental constraints of the existing parcels, urban design of any recommended public infrastructure improvements, and a variety of rendered alternative designs for the redevelopment of the site into its highest and best use based on the study findings. Proposals are due by 4:00 p.m. on Friday, March 1, 2019. For questions, please contact Christian Schock, Planning, Community and Economic Development Director, at 715-261-6683.